PC Repair – IT Support Dundalk | Ransomware….The bad guys are kidnapping your data.. The ransomware can also encrypt a user’s personal files and documents in order to hold them hostage until the user pays the attacker and receives a key code from them releasing the hold on their computer. 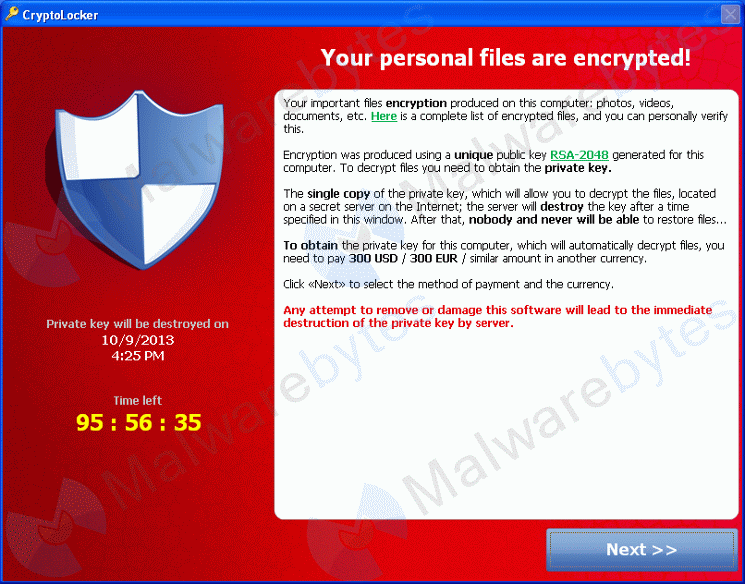 Ransomware can also pretend to be an antivirus program, telling the user that their computer is infected with malware, and then directing the user to purchase the program in order to fix the issues. This rogue security software may actually even pretend to scan the user’s computer for viruses and find many issues. However, the issues will be bogus and there will be nothing to solve by paying the ransom, except the hope that maybe the attacker will remove the ransomware from the user’s machine. Because ransomware can be difficult to defeat, it is strongly advised that users create regular backups of their important data and files so that they are less vulnerable to extortion. In the event that you still end up with a suspicious email / link on your screen – do open it. Most common form of infection is through links to DHL tracking packages etc. Finally, and most importantly – Make sure you have regular backups performed on your system.